SAN ANTONIO - The stigma surrounding suicide is often what silences crucial conversations within communities. This week, the Centers for Disease Control and Prevention reported spikes in suicide rates across the nation. A San Antonio woman who survived a suicide attempt is now working daily to break that stigma and bring necessary resources to South Texas. "My dad literally helped save my life. He learned about depression," Michelle Ramirez said. "He didn't get to see me talking about suicide prevention now and sharing my story. He's definitely part of it." Ramirez attempted suicide when she was a teenager. "I was very blessed to have two parents that learned. They went to counseling themselves to learn how to support me. I did receive treatment. I received lifelong coping skills," she said. Ramirez is now using those skills to break the stigma and show others who are struggling that change is possible. "We need, as individuals, to communicate that caring and that openness. It's OK to struggle, but it's also OK to seek help," she said. Five years ago, Ramirez and nine others opened the South Texas chapter of the American Foundation for Suicide Prevention, bringing crucial services to dozens of communities. She knows how necessary those services are for people who are suicidal and their families and friends. "It's painful. It's tragic. It's traumatic. It's almost always unexpected and there's no pain like it, so we wanted to do something to bring support and resources," Ramirez said. She had a specific message to the people suffering in silence. "I want to tell them to have the courage to turn to someone that cares. If you find someone, they don't seem to care, call someone else. If you're in immediate distress, go to the hospital. Call the crisis line." The national suicide prevention hotline number is 1-800-273-8255. 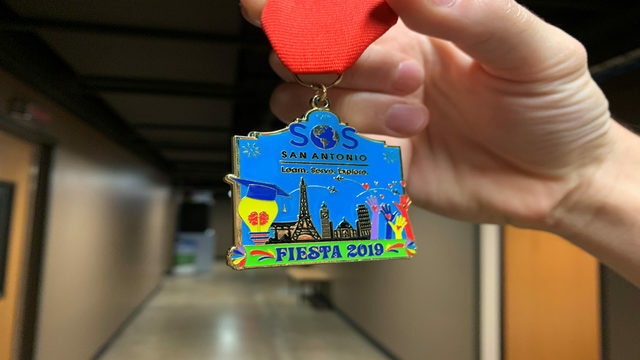 The AFSP South Texas chapter website is https://afsp.org/chapter/afsp-south-texas/. Click here for a full list of information on suicide crisis resources.